The spark is taken almost by chance. The inclination for the arts and the passion for wood was something breathed in the family thanks to the complicity of his dad. Michele Ferioli is a young guy from Ferrara who has chosen the most ancient material existing in nature to shape his imaginative creations. 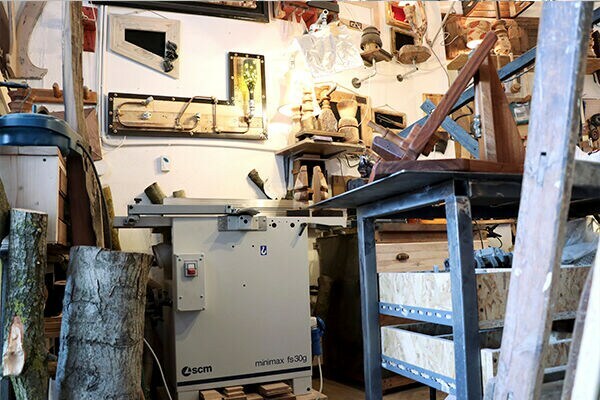 We had the pleasure to meet him during the contest "Your SCM story", and we find out how talent can find its maximum expression even among those people who work the wood "only" as a hobby. At the base of the original path of Michele, together with the passion for wood and manual work, there is a strong curiosity for everything is ancient and that can find in recovery the chance of a second life. Old houses and abandoned yards hide for him unexpected treasures: old beans nails, carriages train lamps, old country tools, ancient scales, granary and empty houses beams, metal in general and old industrial objects ... the same "finds" which often inspire his creations. His ability in assembling them together with wooden pieces to obtain unique objects, is the result of a skill that Michele did not even think of owning until some time ago. It was only when he found himself renovating his house that he began to put his hands at manual work and, slowly, to master the matter more and more, giving shape to the ideas that until that moment he had expressed only through photography, another of his great interests. In parallel, Michele has discovered, the enormous and infinite potential of wood, falling in love with it more and more. 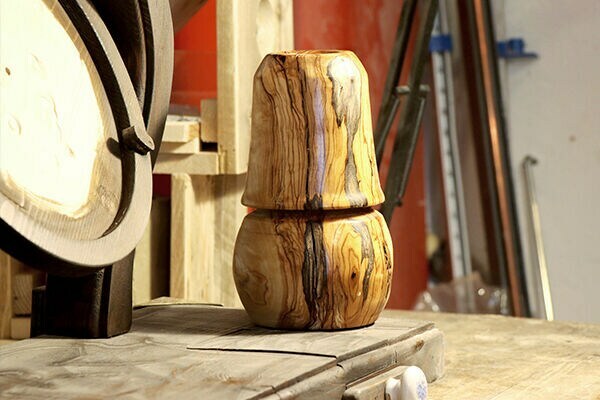 His dad worked for a sawmill and traveled the world to pursue the most sought-after timber; in the same way for Michele every piece of wood, even one collected from a ditch, is an inexhaustible source of beauty. 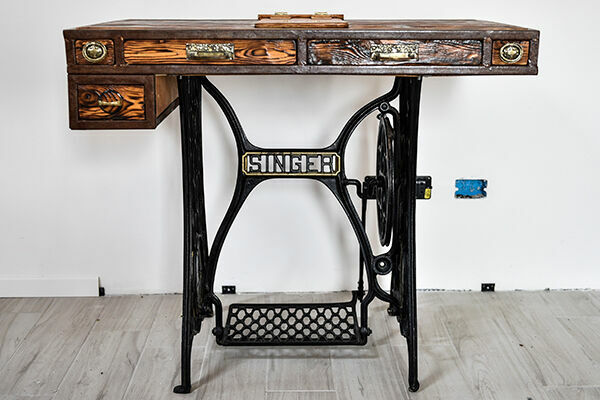 "Wood absorbs history because it always lives," says the young hobbyist in motivating his passion for this material and the vintage objects. The fascination of picking up a piece of wood and not knowing, even if you can try to imagine it, what history it has, who has held it, what it is ... This intrigues Michele and moves his research every day. "The recycled wood, then, is special - he continues - because it has been worked by time, with an inimitable touch: the wood of a stage where people danced for a century, for example, has all its charm, difficult to explain". Once the spark had fired, the young guy from Ferrara began to train himself, independently, but in depth: every new notion learned in the field or from books or the internet, opened many new doors and worlds to explore. Michele has also supported some carpenter friend for some periods, above all to go deeper in the art of restoration. Everything, for this carpenter, starts from the inspiration, often in an unexpected way. The reason can be an object he encounters on his way, on a day of "ordinary routine", during a walk. But why not make a profession of this passion? Because this would means not being able to give free rein to the imagination, responds to us, to sacrifice that magic, inherent in its objects, to meet the needs of the client. Keeping it as a hobby is the only way to preserve the artistic value and authenticity of each piece, he explains. 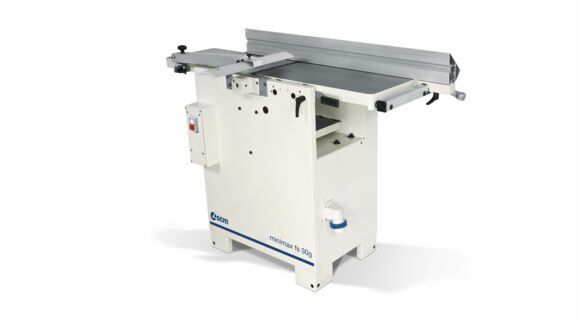 Its irreplaceable work tool is a SCM minimax thickness planer fs 30g.